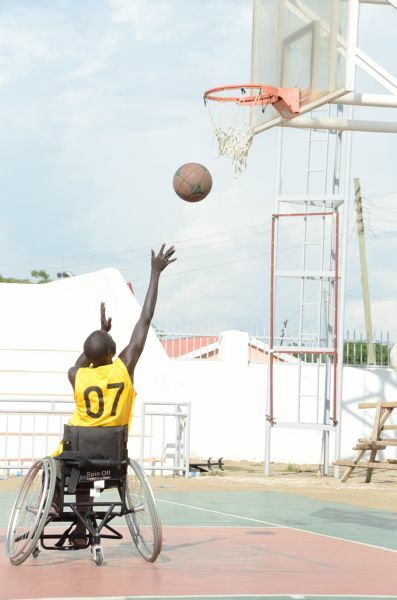 Thousands of miles from the elite athletes gathered at the Olympic and Paralympic Games in London, some young men are playing basketball on a court in South Sudan. 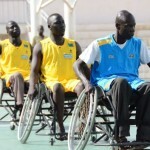 But their wheelchairs are a reminder of the country’s painful past. In the Nimra Talata area, one Friday afternoon, a crowd of 30 or 40 local children has assembled to watch a group of sportsmen who hope to compete on an international stage one day. 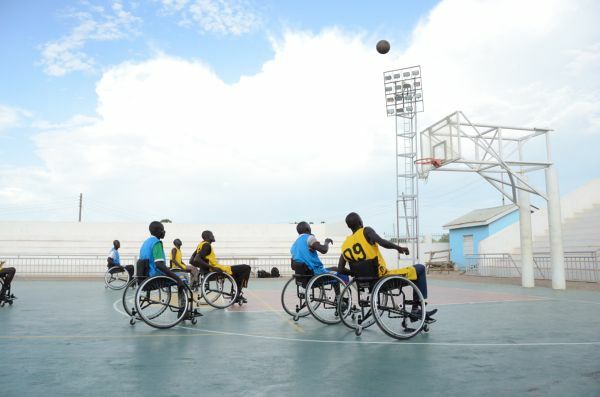 This is South Sudan’s wheelchair basketball team, meeting for its weekly practice. 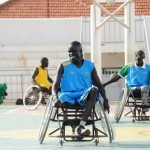 Many of its players lost limbs in Sudan’s civil war – Africa’s longest-running conflict until a peace agreement was finally signed in January 2005. For many years, it was the conflict in Darfur, for which Sudan’s president Omar al-Bashir has been indicted for genocide, which attracted the headlines. But the conflict between the northern and southern halves of the country, which began just before Sudan gained independence from Britain in 1956, was even more devastating. Over the decades, the fighting took almost two million lives. 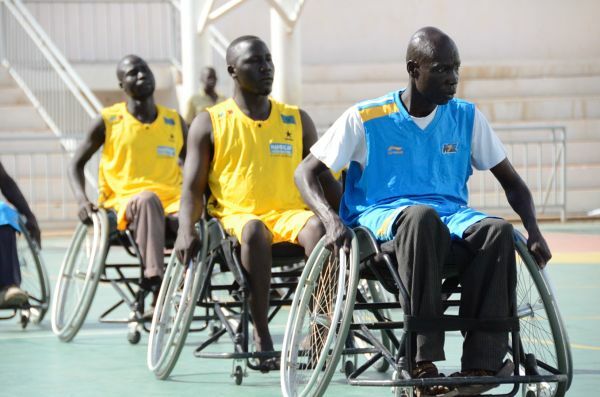 Nearly all the wheelchair basketball players, now sweating profusely in the heat of the fierce Juba sun, played a part in that war. 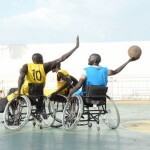 Some were victims of land mines, others of gunshot wounds. All of them are amputees, some of them double amputees. But their spirit has not been dulled either by the bloody history of their country or by their own personal tragedies. Gatluak, the captain, tells me of how at the age of 11, having lost his father and his brother in the war, he joined the Sudan People’s Liberation Army, formed to defend the south from an army sent by Khartoum. He was not forced to join, but nor was it simply personal choice, he explains. Having already survived gunshot wounds to both arms, he only laid down his rifle when he suffered bullet wounds to his leg so serious that only amputation would save his life. 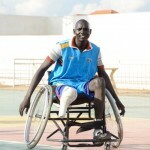 He was flown to Lokichogio in Kenya for the operation, and then transferred to the nearby Kakuma refugee camp. 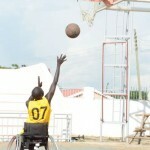 It was here that he and other amputees from southern Sudan joined up to play wheelchair basketball for the first time. If ever South Sudan broke free, he decided, he would set up a team in the new nation. 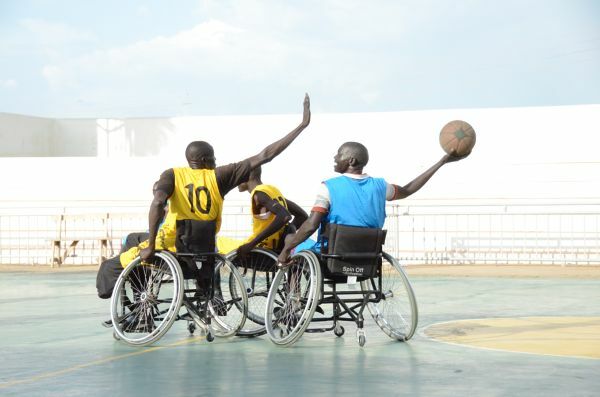 Within two weeks of the declaration of South Sudan’s independence on the 9 July 2011, Gatluak’s dream became reality and the team was established. 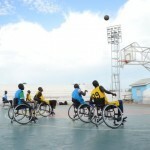 From the start, the team was reliant on international organisations to provide wheelchairs and shirts, and with no team bus the players still struggle to get to their training sessions. 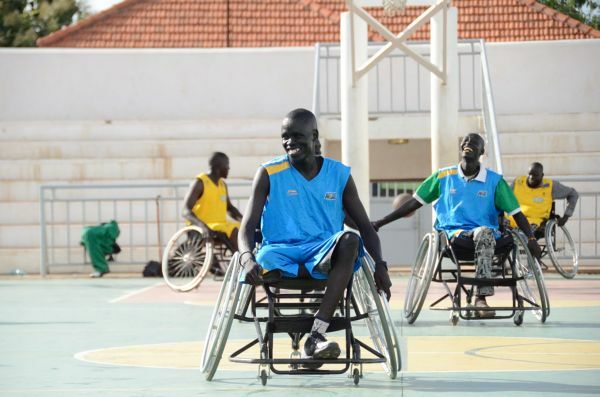 The Juba government has ambitious plans to promote the development of sport, but they are unlikely to be realised any time soon. South Sudan has just introduced an austerity budget, with state spending cut by more than a quarter. The country has also been shorn of its major source of revenue – oil. In 2010, oil generated nearly all government revenue. But in January this year, the government responded to a dispute with Sudan – over the transit fees for exporting its oil through a pipeline to the north – by completely ceasing production. Even the most optimistic projections say other sectors can only cover 10% of the South’s government spending. Inflation is running at 80%. In recent months, this young country has also had to deal with the influx of tens of thousands of refugees from Sudan, fleeing the bombing of their villages by the Khartoum government. The rainy season is now under way, threatening a lethal cholera outbreak. If South Sudan’s first year was tough, life is going to get much harder during its second. But most people here remain staunchly optimistic. When I ask Gatluak about losing his leg, he refuses to see it as a disability. 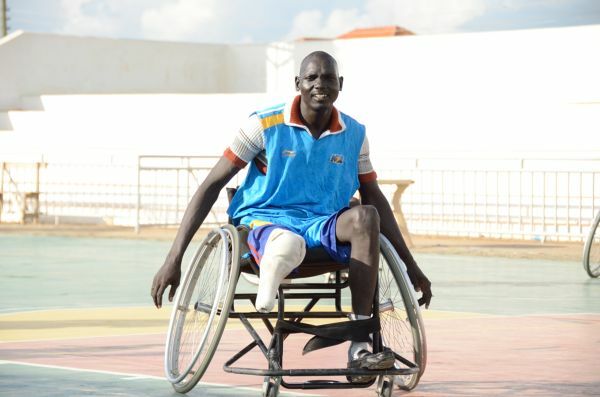 Just like Gatluak and the other wheelchair basketballers, most people I met in Juba prefer not to focus on the challenges they face, but instead to enjoy their newfound freedom. This piece was broadcast on the From Our Own Correspondent programme on the BBC World Service on 28 July 2012. To listen, click here. It was also published on the BBC website. This entry was posted on Thursday, August 9th, 2012 at 12:05 pm. It is filed under BBC World Service, Blog, Broadcast, Human rights, South Sudan, Sub-Saharan Africa and tagged with BBC, civil war, From Our Own Correspondent, Gatluak Kuol Luak, independence, Kakuma refugee camp, Lions and Tigers, Lokichogio, Nimra Talata, refugees, South Sudan, SPLA, Sudan, wheelchair basketball, World Service. You can follow any responses to this entry through the RSS 2.0 feed.